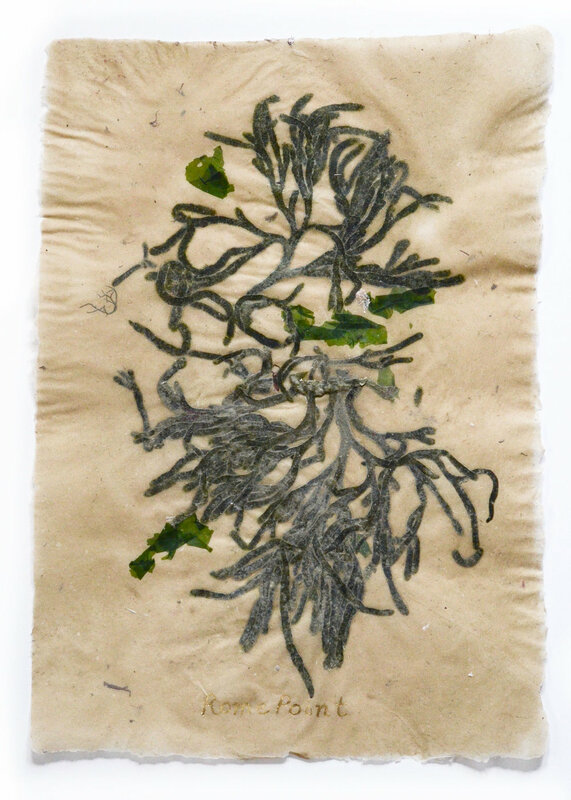 Collected seaweeds and pondweeds are embedded in pulp during the wet hand papermaking process. This is an ongoing series that started as an identification method while exploring invasive and indicator aquatic plant and algae species in Rhode Island waterways. Gilded metal leaf lettering on the larger 12” x 17” series indicates contemporary and Algonquin place names of where the species were collected. 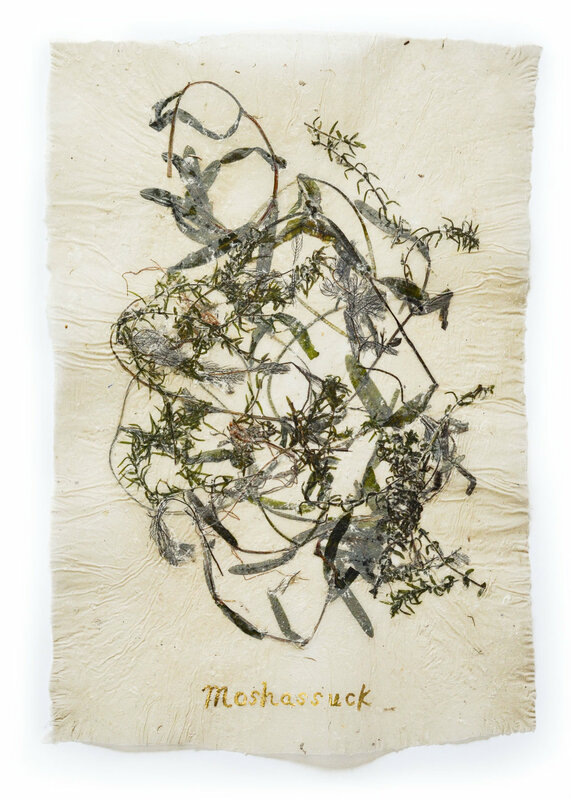 This site specific and research based project touches on vital issues surrounding ecologies in the Narragansett Bay watershed, tying together aquatic environments with historical memory and contemplating the ongoing relationships between people and place.